I chopped an entire mini seedless watermelon (3-4 cups) – make sure your melon is sweet, this is where the majority of flavor comes from. 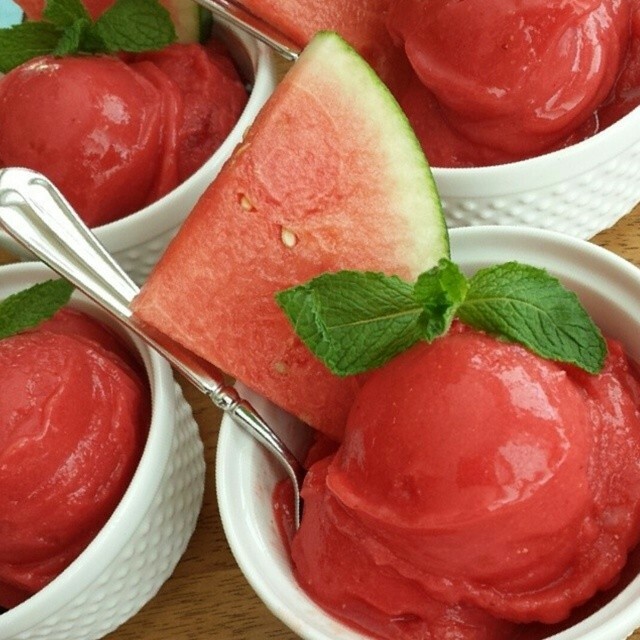 Place chopped melon in blender, add about 2 cups FROZEN strawberries. Blend until desired consistency. Add more frozen strawberries if you want it thicker. You will need to stop the blender to stir several times.